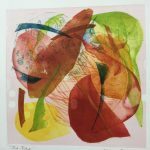 Mary Sundstrom is a Minnesota native who graduated from the University of New Mexico with a Fine Arts degree in printmaking. 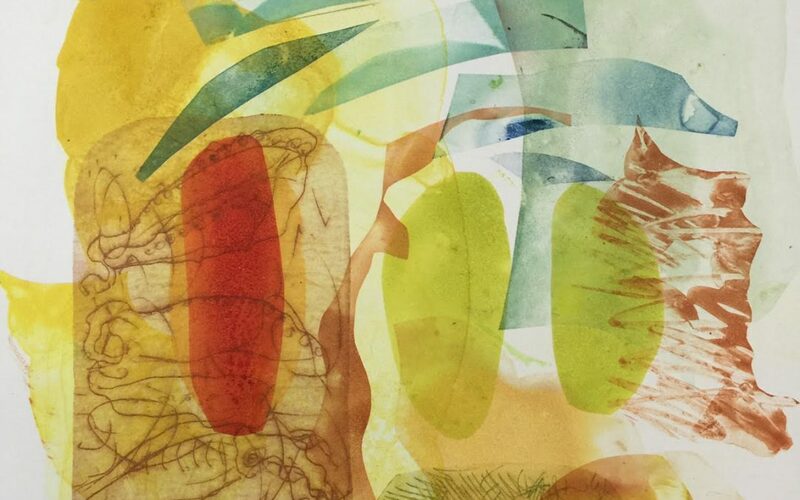 Over the last 40+ years, Mary has exhibited her prints and paper cut art around the country. Mary has illustrated 17 children’s book titles and an Audubon field guide series. She has also created numerous exhibit illustrations for the New Mexico Museum of Natural History and Science. Mary is also a gifted instructor. 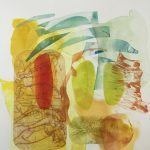 For the last 10 years, Mary has been a member of and an instructor for New Grounds Print Workshop in Albuquerque. 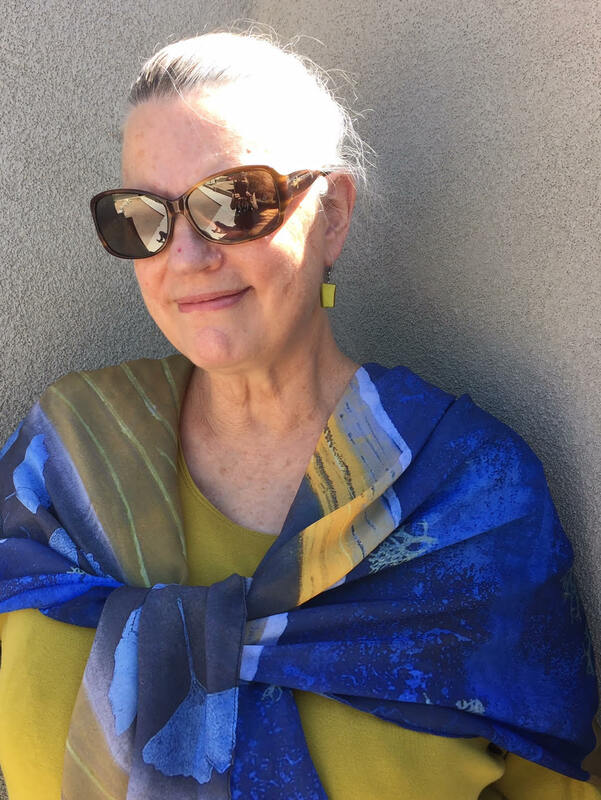 Recently, Mary and three partners formed Remarque Print Workshop LLC and purchased New Grounds. In this environment, Mary’s art has thrived and she is excited to be presenting new art in two upcoming shows. The first one is August 12 & 13 at the Juliana Kirwin Studio at 8th and Mountain Road. Then in October, she will have a solo show at Remarque/New Grounds Print Workshop. Here are two of her new art pieces featuring innovative techniques in printmaking. Visit three studios and galleries on Mountain Road to meet the artists. Free lemonade at each location!